Edmond Halley is famous for his works as an astrologer and he was the first astrologer who calculated a comet's orbit. He was born on the 8th of November 1656 in Haggerston, Shoreditch, England. At an early age he got interested in mathematics and while he was an undergraduate at The Queen's College, Oxford he published papers on the solar system and sunspots. 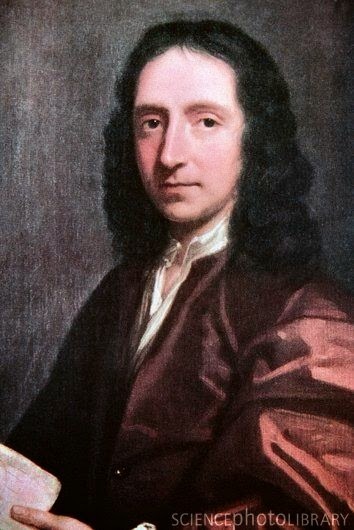 The English astronomer Edmund Halley was a good friend of Isaac Newton. In 1705 he used Newton's new theory of gravitation to determine the orbits of comets from their recorded positions in the sky as a function of time. He found that the bright comets of 1531, 1607, and 1682 had almost the same orbits, and when he accounted for the gravitational perturbation on the cometary orbits from Jupiter and Saturn, he concluded that these were different appearances of the same comet. He then used his gravitational calculations to predict the return of this comet in 1758. The Halley's comet is the most famous of all periodic comets. 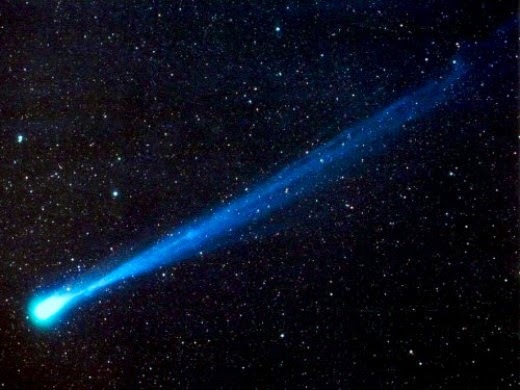 Although in every century many long-period comets appear brighter and more spectacular, Halley is the only short-period comet that is clearly visible to the naked eye, and thus has become a sort of legend on the earth. The description of the comet, the way it goes around the sun, it's lighted tail etc. are all available- splashed liberally in the world wide web. But as a phenomenon, the comet's arrival has such diverse responses that it would be a good idea to check out the two extremes and let our imagination fill up the in-between states. In 1705 Edmond Halley predicted, using Newton's newly formulated laws of motion, that the comet seen in 1531, 1607, and 1682 would return in 1758 (which was, alas, after his death). The comet did indeed return as predicted and was later named in his honor. The average period of Halley's orbit is 76 years but you cannot calculate the dates of its reappearances by simply subtracting multiples of 76 years from 1986. The gravitational pull of the major planets alters the orbital period from revolution to revolution. Nongravitational effects (such as the reaction from gasses boiled off during its passage near the Sun) also play an important, but smaller, role in altering the orbit. Between the years 239 BC and 1986 AD the orbital period has varied from 76.0 years (in 1986) to 79.3 years (in 451 and 1066). The closest perihelion passage to the time of Jesus are 11 BC and 66 AD; neither event took place in Jesus' lifetime. Its most famous appearance was in 1066 when it was seen at the Battle of Hastings, an event commemorated in the Bayeux Tapestry. Comet Halley was visible in 1910 and again in 1986. Its next perihelion passage will be in early 2062. Halley is almost unique among comets in that it is both large and active and has a well defined, regular orbit. This made it a relatively easy target for Giotto et al. but may not be representative of comets in general. How long Do Animals live? 10 Unbelievable Facts About Human Brain . The Baobab a magnificent tree ! Thru Tree, Sequoia National Forest, California. Amazing view of Male, capital of the Maldives. Underwater train route in Denmark! Milky Way over Lake Titicaca, Peru. Tropical Island Yacht Cruise Ship!